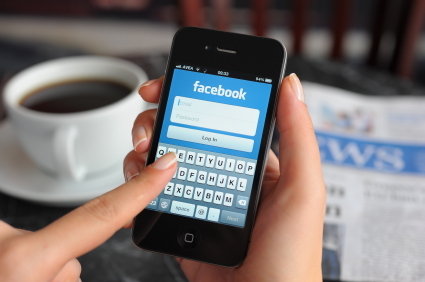 Is Facebook taking measurement and data analytics too far? Measurement and analysis gives companies the ability to understand their customers and markets better, improve internal efficiencies, and much more. Having access to more data usually means better insights. However, are companies like Facebook overstepping the mark by exploiting our private information? Just think about it: people have willingly uploaded onto Facebook who their friends are, what their hobbies are, how old they are, where they live and whether they are in a relationship or not. What’s more, Facebook knows what people like and dislike, what their interests are, what their favorite movies and songs are – simply from the updates we share and the ‘like’ buttons we press. The big question is: are you happy for Facebook to exploit what they know about you? The entire Facebook business model is based on the effective use of your data. Here is the deal: they give you a free social media platform to use and in turn sell advertising and insights based on what they learn about you. Today, Facebook has massive capabilities to collect, store and analyse data – what we call ‘big data analytics’. This allows Facebook to sell very targeted advertising – e.g. ‘someone living in the Mid-town district of Manhattan, who is single and who is interested in baseball and likes pizza’. This kind of knowledge is a marketer’s dream! But Facebook goes beyond simply analysing and ‘mining’ the user profile data you have shared and the updates you have written. USA Today revealed how Facebook tracks you across the Web. Basically, when you create an account, Facebook inserts a ‘tracking cookie’ into your Web browser that allows Facebook to track each website you are visiting. This means when you are logged into Facebook and then browse the web (completely separately from your Facebook activities) Facebook knows what sites you are visiting. There’s more: Cnet reports that whenever you click a Facebook ‘like’ button on any website, your preference is not only shared with your friends and on your profile, but data about your interests is sent back to Facebook’s servers – ready to be provided or sold to their advertising partners. What’s more, personal data is exchanged when you use apps like FarmVille or Words with Friends via Facebook. It has even been reported that signing up for these apps will give those companies who created the apps access to your personal data – even details you specifically told Facebook to keep private. One more: Facebook has also invested in image processing and ‘face recognition’ capabilities, that basically allow Facebook to track you – because it knows what you and your friends look like from the photos you have shared. It can now search the Internet and all other Facebook profiles to find pictures of you and your friends. Face recognition allows Facebook to make ‘tag suggestions’ for people on photos you have uploaded but it is mind boggling what else they could do with technology like that. Just imagine how Facebook could use computer algorithms to track your body shape. They could analyse your latest beach shots you have shared and compare them with older ones to detect that you have put on some weight. It could then sell this information to a weight loss club in your area who can place an ad on your Facebook page. Scary? Business Analyst at DENSO Europe B.V. I do think that we voluntarily post this information, mostly oblivious of what the implications are (body scan: yes sure, but how the data is used was not my purpose). I’d feel more comfortable and private if the data on Facebook (and whatever other site) would be mine. I would also not mind if other than Facebook could benefit. That said. Putting on weight is nice for fitness schools (I don’t need to respond) but not so nice if it gets to insurance companies. I don’t want to pay extra premiums because of the combination of algorithms at Facebook and LifeInsurance (wherever I’m insured). This type of benefit is also compromising in some other ways. Since Facebook sits on my data and sells it, it feeds into their and their customer’s business model. Either way, I’ll be paying more (instances or price) of what they offer without the benefit of Facebook profit. It is a zero sum game but the consumer does not win from the relationship. “Allow us to give you better service” is euphemistic to “allow us a larger wallet share from your income”. When I own the data, I’d like to sell it myself. That way, the insurance company may buy my data and apply their algorithms. Then we might both benefit. If I can sell it to Facebook as intermediairy, also fine.